Cafe Eton is an expansion project of a restaurant in Argao owned by a young businessman working abroad. Taking advantage of the shortage of quiet hang out places in Argao, the client decided to add a coffee shop to his restaurant. The use of wide windows and louvers give the 37-square meter cafe the impression of openness and space. Concrete, steel and wood, the prevailing textures in the overall design, convey the simple sophistication of utilizing materials in their raw form. 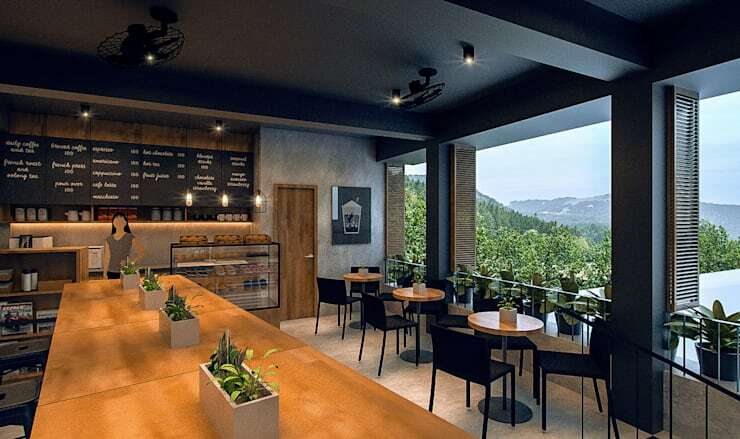 The subdued and organic color palette fits well with the added plant life and the natural scenery seen from the cafe's elevation.